This is David’s sixth season working with Eugene Ballet, and his second in the position of Production Stage Manager. David began as Stage Manager for Eugene Ballet’s The Nutcracker in 2012, and since then has stage managed Swan Lake, All You Need is Love, Light Rain, and Mowgli-The Jungle Book Ballet. 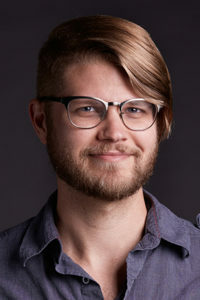 David has a long background in stage management for regional theatre and has had the pleasure of working on several productions with Milwaukee Rep, Seattle Rep, ACT Theatre, Seattle Shakespeare Company, Seattle Children’s Theatre, American Players Theatre, and Peninsula Players Theatre. His first love has always been dance and he is delighted to be here in Eugene and to have this opportunity to work on many more ballets.